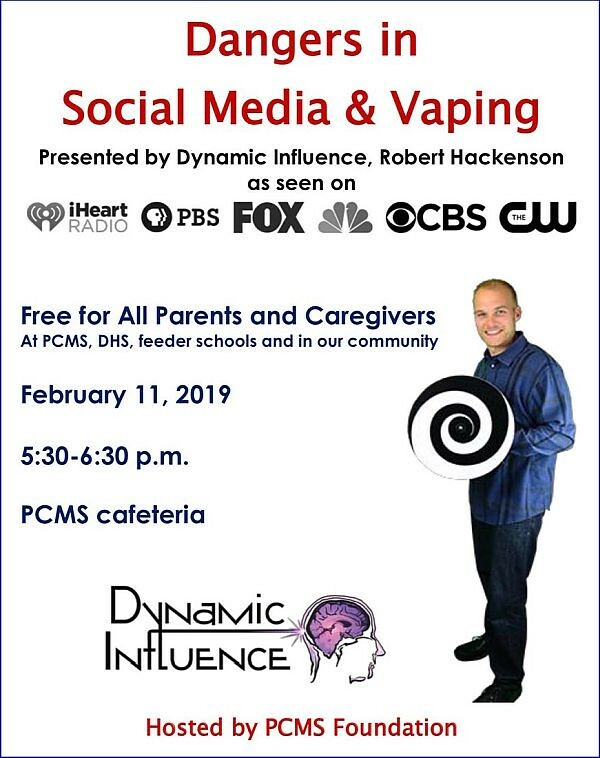 Dangers of Social Media & Vaping program sponsored by PCMS Foundation is next Monday, 2/11. All welcome. Please join us in welcoming renowned Dynamic Influence speaker, Rob Hackenson. Few places around Dunwoody you might find me.